Finally the highly anticipated film that was creating buzz from a long time, Secret Superstar has been released this Thursday. 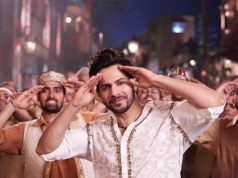 Due to the association of superstar Aamir Khan as a producer and actor, everyone was having high expectations with this inspirational musical drama. 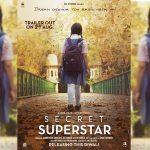 Based on the story of a Muslim girl Insia (Zaira Wasim) who is extremely passionate about music and aspires to become world famous singer, Secret Superstar is a heartwarming and delightful flick that keeps your eye-balls fixed toward screen till the end. 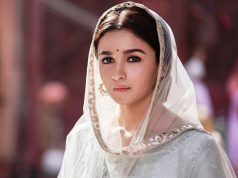 Insia faces lot of restrictions in her way because of her father (Raj Arjun) with conservative mindset, who makes many efforts to keep her inside the boundaries he made. 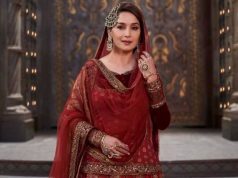 But with the fire burning inside her and the support of her mother (Meher Vij), music composer Shakti Kumar (Aamir Khan) and school friend (Tirth Sharma), she gets succeed. Secret Superstar is not only the story of music and dreams, but it also explores the beautiful relationship of a daughter with her mother and a cute love story of two little ones, that make this film more enjoyable and interesting ofcourse. Talking about the acting, then once again the Dangal girl Zaira Wasim has proved her excellence, she has performed the character of Insia with pure dedication. It wouldn’t be wrong to say, that she is the perfect choice for this role. Superstar Aamir Khan doesn’t have a central character this time but he has done a commendable job which is being liked by everyone. Meher Vij has played the character of sacrificing and always-smiling mother very beautifully. Rest all the actors have also performed their characters sincerely. Director Advait Chandan has also performed his duties very well, in all the aspects Secret Superstar looks strong. Talking about the music, then it has several soulful songs that add good taste to it’s solid screenplay. 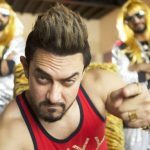 Overall Secret Superstar is truly a winner which surely deserves you time. It is strongly recommended for all age groups. 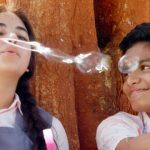 Zaira Wasim, Aamir Khan and Meher Vij starrer inspirational musical drama Secret Superstar is truly a winner, strongly recommended from age groups.